This is what we got Natalie for her birthday this year: a purple (color is important when you are 11) Kodak EasyShare Mini Digital Camera. Previously, she had a VTech Digital Camera, which worked well for a few years, but lately, it's been erasing her photo stash whenever it feels like it. Frustrating! Plus, she was ready for a camera with more horsepower - something that can zoom and take higher resolution photos and videos. 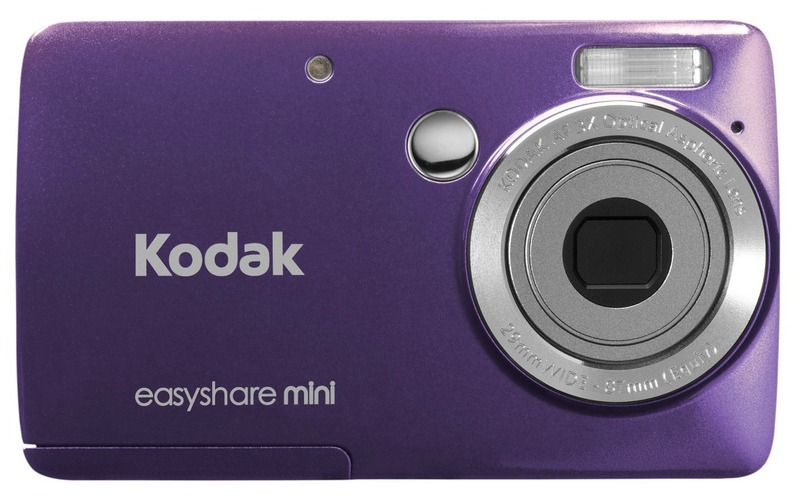 The Kodak EasyShare is user-friendly, small, lightweight and about $65 - but really, any camera similar to it would work. Girls who are 11 are just starting to form their own world. Having a camera to chronicle it makes perfect sense. If your girl already has a camera, the logical next step is to record those memories. 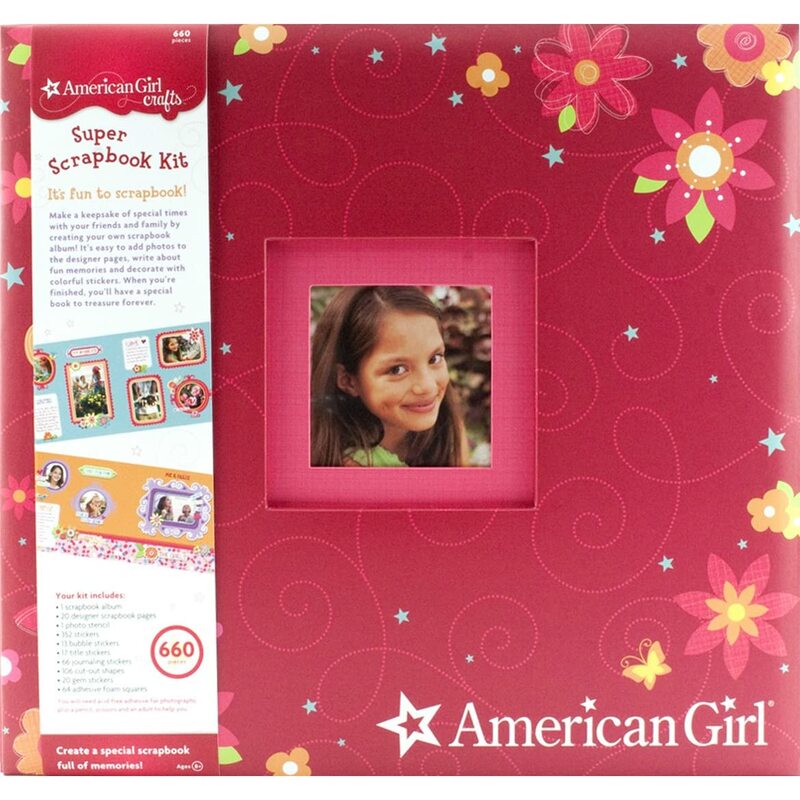 Natalie loves crafts, and a physical scrapbook would be the easiest entry point. Almost all 11-year-old girls are brimming with creativity of some sort. The trick is knowing their passion of the moment. Last year, we gave Natalie a horse stamp set for Christmas, because she was super into horses. We also got her a couple of American Girl craft kids and they were huge hits. My favorite: This fabric bag. 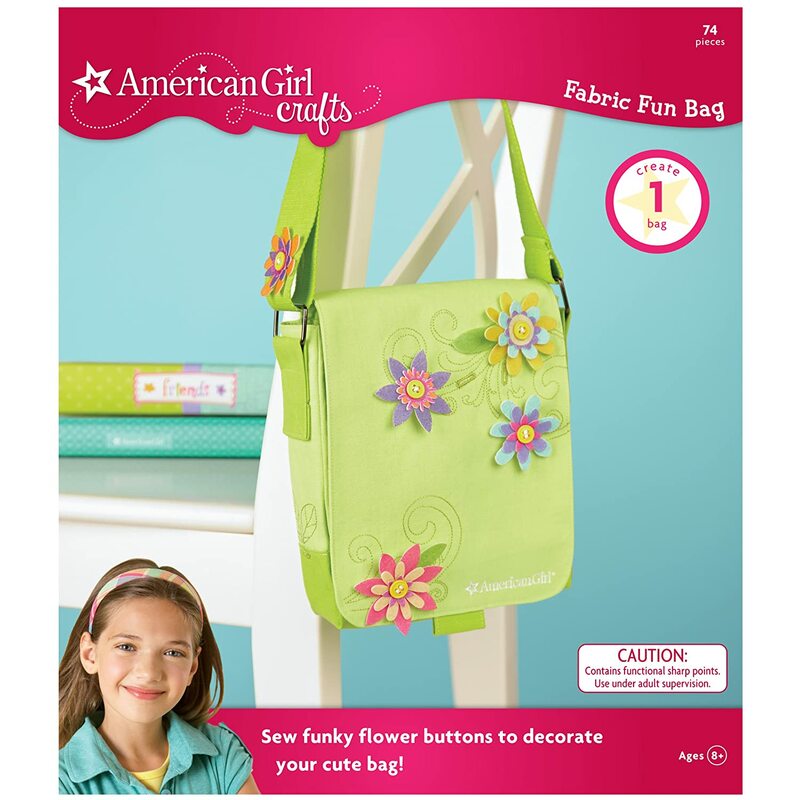 Not only is it sturdy and useful, but the girls can personalize it. Adorable. This was Natalie's birthday present last year, and she's still madly in love with it. It was a relatively cheap gift - around $50 - and I bet you could find it for even less on sale. I manage her music using my iTunes account, which works for both of us. I also like that a Shuffle is simple to use, hip and yet it can't text or access the Internet. Win-win. Natalie has a set of both, and she is equally enamored. I love that these gifts get her active and encourage her to learn a new skill. Maybe your girl doesn't have access to ice or sidewalks. No matter. The point is to find something that is fun and new and maybe a bit challenging. If you can find a place where she can take a few lessons with her new equipment, that's a bonus. And be sure it's not a team sport, which can be so intimidating to girls this age. This should be an opportunity for them to compete against themselves, a confidence booster. This is another practical-but-fun gift. I mean, how cute is this? Look for something bright and quirky that reflects your girl's style. I also recommend you get one that collapses so it will fit into a backpack. 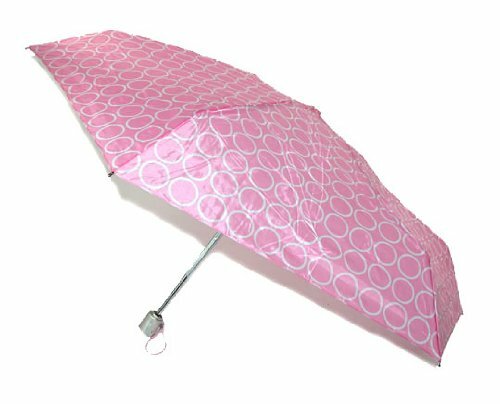 Natalie takes her umbrella to school when it looks gloomy, and she loves that she can stash it in her bag. This goes back to my theory that tween girls want to be productive! Natalie has a snow-cone machine, and nothing makes her happier than when one of her siblings asks her to make a snow cone. She positively glows! We got a version of this one, which I highly recommend. It's not just a cute snow cone machine designed for preschoolers. 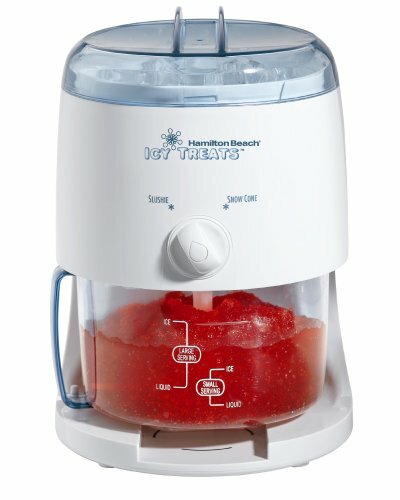 It's a real ice shaver that can be used to make everything from snow cones to slushies. It's also held up extremely well. Natalie even took it to school for a class party last spring. Huge hit. Almost every tween girl I know is a bookworm. Natalie is no exception. Of course, books can be terribly personal. But these are a few series Natalie has loved. Note: There are no Sweet Valley High or Hunger Games or Twilight-type books on this list, in keeping with the theme of not pushing them to grow up. You know what tween girls need more than stuff? They need you. They need loving adults in their lives to listen and talk and just be with them. Hence, my final suggestion. Find an activity your girl loves - or something that will challenge her to learn something new. Social media sites like Groupon and Living Social can be fun for this; they offer great deals on services or experiences you might not have considered. What about an afternoon of paddle boarding? Or rock climbing lessons? Tickets to a Circque de Soleil show? Take her to tea. 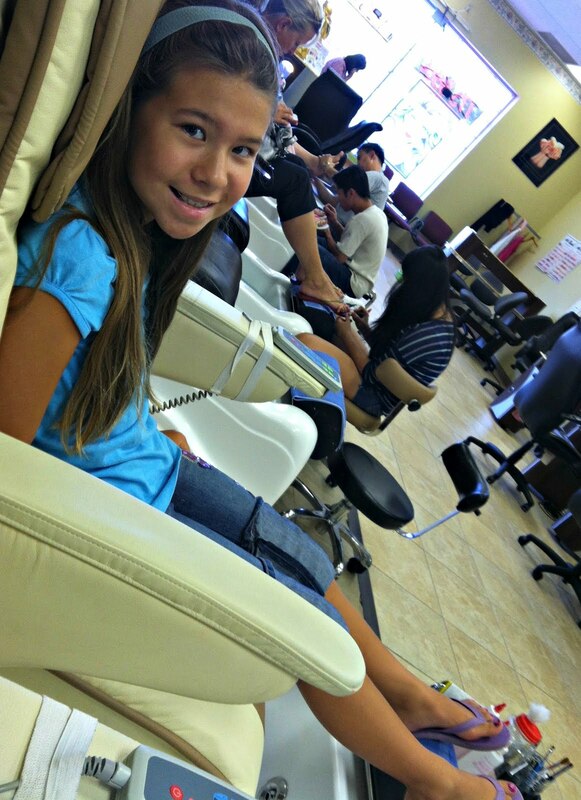 Go get a pedicure. The time you spend together will be the real gift - for both of you. I love this list. My oldest is 10 and shopping for her and her friends is difficult sometimes. Thank you Natalie! I. Love. This. My 5-year-old would be ALL OVER this list! Thank you! LOVE this, Kelly! I will pin it so I can reference it in years to come and pass it on to friends whose kids are in this stage now. You're awesome! I'm sure your girl LOVES spending time with you!!! Some other good books for girls in this age range would be the Anne of Green Gables series (even the books about adult Anne are not too grown up, though some of the issues Lesley deals with in Anne's House of Dreams are a little heavy) or the Betsy-Tacy series, which take Betsy all the way from five up through marriage. I remember being eleven and not wanting to be a teenager yet, and those stories that took old-fashioned girls and made them seem alive were absolutely wonderful for me. Love this so much! 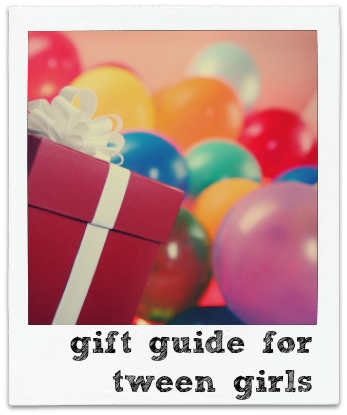 I am always drawing a blank on what to get my tween nieces and usually end up with just a gift card. This is so helpful! Fantastic article/post. Has anyone ever given thought to (or gifted) their tween daughter a menstruation preparation gift box? (like periodpacks.com or funky goddess?). How was it received? However, I do know Moms who will schedule a special mom-daughter night and present a bunch of "now that you're getting older" supplies to their daughter. Sort of a coming of age night. But I wouldn't necessarily link it to a birthday or some other typical gift occasion. I love your posts............they are a breath of fresh air in my inbox. Thank you. All kids love to play with toys.Because of being a soft plush toy, kids can throw this Angry Birds Plush Pig at each other without danger of anyone getting hurt.and serves as a good companion to your child.http://liztoys.com This fantastic plush toy is simply adored by anyone who is an Angry Birds fan. I know this comment is a little late but here is a great gift idea for next year! :) There is also a Beauty Line just for tween girls called Pinched Beauty. You can buy Items individually or as a set. You can find there awesome products here: http://www.pinchedbeauty.com or https://www.etsy.com/shop/PinchedBeauty. Tween Girls love their products!! !